Born into a nomadic family where singing was an integral part of life, she is blessed to have the nomadic voice in her. She studied the importance of her culture in the Tibetan children’s village in Dharamsala. She also studied - and has a love for Tibetan opera. 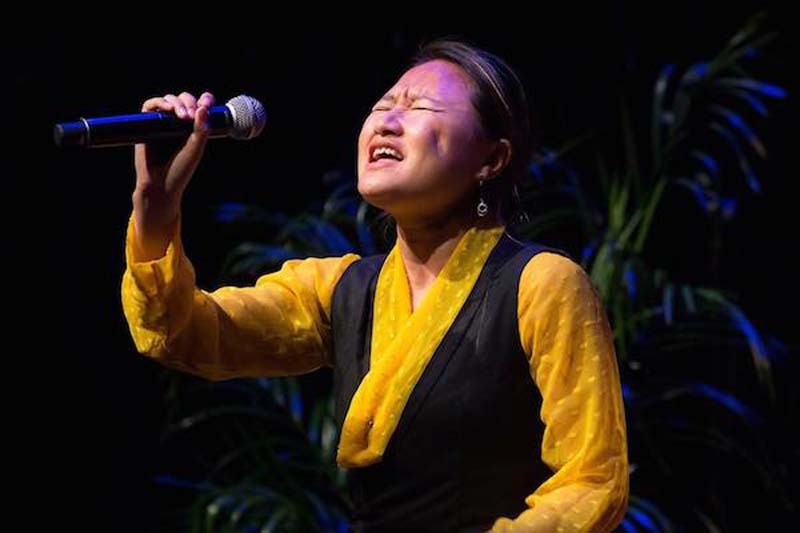 She has been living in Australia since 2016 where she has continued to sing, performing this year at the festival of Tibet, Brisbane. Tara is the Tibetan goddess of universal compassion who represents virtuous and enlightened action. Haunting chant, ancient mantras and song from deep within sung for the soul illuminate tara – the feminine divine. Tenzin Nyidon teaches 'Gor Shey', a traditional Tibetan circle dance, danced at the end of special events. 'Gor' means 'circle' and 'shey' means 'song'. It gives the event a ceremonial happy ending.